It typically required that you have both an active credit card and a valid driver’s license when you go to get a rental car. 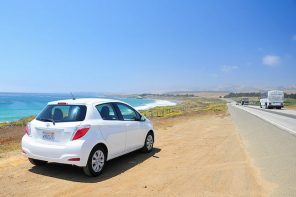 However, while it may take a little more hassle, you may still wonder how to get a rental car without credit cards? Many people do have credit cards or debit cards though debit cards are not the preferred method that car rental agencies accept because they often consider people who do not use credit cards a higher risk customer for them. When you are considering to rent a car without using credit cards, you have to be aware that it is a tricky process and can become quite an obstacle though it is not completely impossible. It is merely an issue for the car rental agency because they see you as a possible credit risk if you do not want to use a credit card or do not have one. In this scenario, they have to go by their protocol because it is a red flag to them to loan over a pricey automobile to someone who does not want to utilize a credit card. They presume you might be a credit risk and they might end up losing out. Though you are thinking how to get you car anyway, it may be just because you have opted out of using it. Maybe it is maxed out or you only use it in case of emergencies. In this case, since you are traveling, sometimes a credit card seems easier than having to carry traveler’s checks and the exchange rate might wreak havoc on your bank account if you use a debit card in several other spots so you have chosen to save your credit card for your other expenses instead. 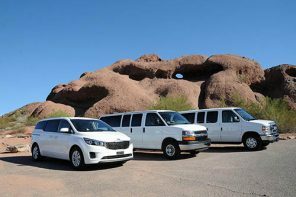 However, the rental car agencies are starting to come to terms with the idea that many customers are choosing other payment methods besides credit cards. Many choose a debit card and others may even try to pay cash. If you are reserving a car online, cash is out of the question. If you are thinking about how to get a rental car without credit cards, note that every rental car agency has their own sets of policies which may not allow you to use anything but credit cards. If you use a debit card, you should probably expect some limitations. If you are completely set on avoiding credit cards, there are some tips that you should consider. One of the first things you need to consider is that you will need to have ready several forms of identification. This could include a driver’s license (which you already need to have anyways), a passport, a utility bill with your name on it and current address, and other forms of identification. You really should check with each individual car rental agency to see what will work for them. 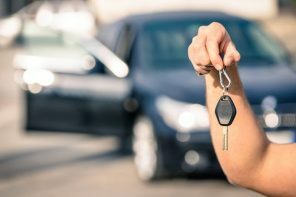 If you are thinking to get your vehicle without credit card, be ready to wait on the car rental company to run a credit check on you just to be sure that you are in good credit standing, have a decent credit score, and have shown that you have proper funds available in the case of something going wrong in the transaction. Be patient – The company that rents cars will take their time running a check on your identification, they will ensure that you have proper insurance to rent a car, they will run a credit check, and you just will have to deal with all of that because they are protecting their company. Avoiding credit cards will also likely result in you having to pay some type of deposit to hold the vehicle in case it is returned damaged or not returned at all. This is not something you should take personal but they have to conduct business in this way. The deposit will probably be $200 or more and if you have that kind of cash on you, they might take it.